As one of the region's recognized interior designers. Dawn and her team, work on high-end transitional, classic interiors. 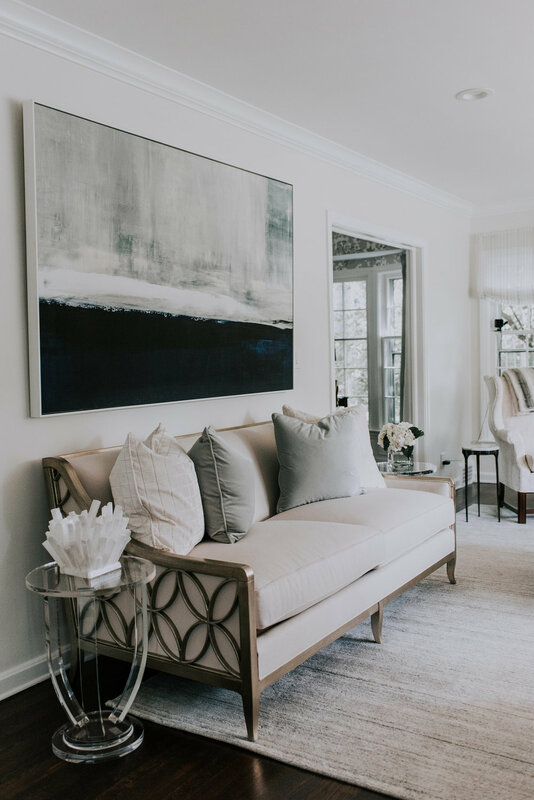 Dawn Cook Design is a residential and commercial interiors studio based in Shaker Heights, one of Ohio’s most historic neighborhoods. Dawn leads most projects personally. She has the ability to see grand, comfortably orchestrating the evolution of a home—blending new with old and custom with found. She is inspired by luxurious textiles and beautiful light. She knows just when to add drama and the moment to use restraint. Dawn and her team provide a personalized approach. Together, they tackle everything from a simple design update to complete construction. They collaborate with artists, craftsmen and contractors. Prior to working in interiors, Dawn acquired a master's degree in business and spent her days as a marketing director. Just before opening her studio, she added a degree in interior design. She currently resides in one of the beloved neighborhoods in which she works. She works locally in northeast Ohio and in the southern and western United States.